Enjoy the charming portfolio of Christian artist Cindy Fort, who shares her inspiration to help heal others. See more of her work by visiting her website. I grew up being creative and having that creativity encouraged. I even won awards in art. But I laid creativity aside for sciences and math – the college prep track, of course. I eventually finished a Bachelor’s degree in Biblical Studies and received an MA in counseling with a Biblical emphasis. It was here, in the midst of helping clients recover their lives using therapeutic art, where I reconnected with my own artistic side. I believe creativity is a gift we all share from our Creator; a result of being formed in His Image. 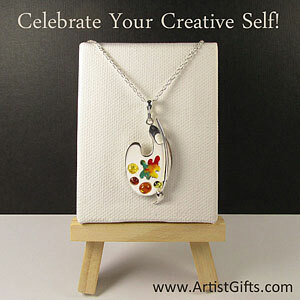 In expressing ourselves creatively, we are inspired and inspire others! I find inspiration in nature, in music, in language, in human relationships, in the foundations of the Christian faith and in my own ever growing relationship with my Lord – and always interwoven through it all, I find His love reaching and extending towards us all. An expression of worship, a piece that reveals a deep eternal truth, or a piece that simply leads the viewer into a deeper discovery of their own spirituality or the relationship God wishes to have with them – these are what you might discover in my works. Collage and mixed media are my favorite mediums to work in. They are wonderfully freeing and forgiving as a canvas takes shape…bits and scraps; layers of color and texture; words and images; all can be both hidden and then revealed…truly a metaphor for the healing process! I also spent some time this past year researching Chinoiserie style art and Sumi-e brush strokes, and am looking forward to exploring these styles more deeply in 2013 as a way to express the beauty I have found in the ancient languages of Hebrew and of the Chinese. Along with these personal pursuits, I will be continuing to build the “catalogue” of expressive healing art exercises on my website that will also help those in the healing process connect more deeply with their own spirituality. Through art, I am a guide, an explorer, a fellow traveler – helping people find paths of peace and healing as they journey through life, pulling their broken places together again, moving out of woundedness and towards a restoration of the heart. I would love to have you travel along with me! It is inspiring how you are using your art to help the healing process for other people. Joyce, you have made me smile! It is very satisfying to be able to walk in this calling! Thanks a lot for sharing your artwork Cindy. Very beautiful and moving. How beautiful! What lovely ladies you’ve painted, Cindy. Your blog post is an inspiration.